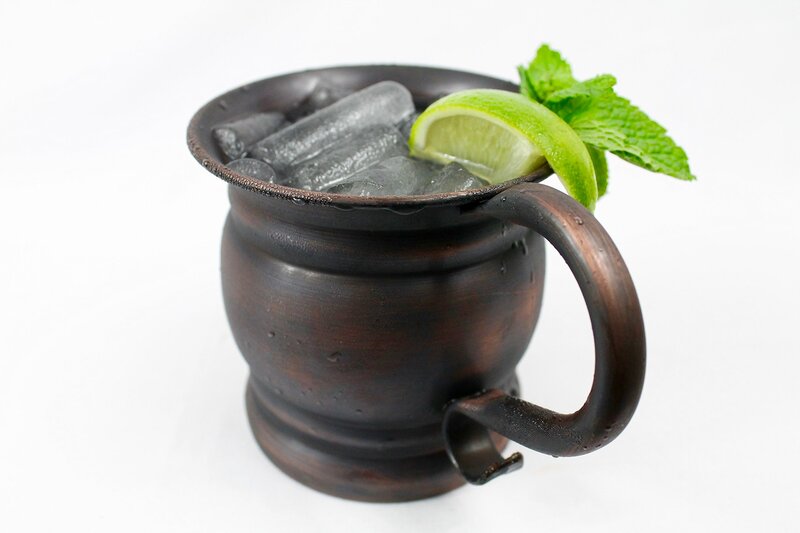 Home › Home and Kitchen › Bundle 16Oz Solid Copper Mug Barrel Unlined 100% Pure Moscow Mule Antique Fin.. Bundle 16Oz Solid Copper Mug Barrel Unlined 100% Pure Moscow Mule Antique Fin.. THIS PACKAGE INCLUDES - (1) ONE Mug + (1) ONE Ice Ball Tray - Making this package a total of 2 items. GREAT GIFT! - Give this Copper Mug to that one crazy friend that drinks a lot! We all have one. It will make a great conversation piece and a guaranteed smile on their face! 100% SOLID COPPER - These mugs have been made with the highest quality copper. FDA approved. Lacquered with an antique finish to give that old rustic lifestyle! Made in India! COLD COLD COLD! - Keep your drink cooled 10 times longer than a regular glass cup! The copper holds its temperature longer than the normal beer mug. HEALTH BENEFITS - It stimulates the brain, aids in digestion, promotes bone strength, regulates body fat, acts as any-carcinogenic, regulates functioning of thread gland, and many more. Package Quantity: 1 Four Pillars Moscow Mule Pure Copper Mug Set THIS PACKAGE INCLUDES - (1) ONE Mug + (1) ONE Ice Ball Tray - Making thispackage a total of 2 items. Health Benefits Drinking water from a copper mug benefits our daily lives in many differentways. It stimulates the brain, aids in digestion, promotes bone strength,regulates body fat, acts as any-carcinogenic, regulates functioning of threadgland, and many more. Storing water for a minimum of three hours in a coppermug can kill harmful bacteria. FDA suggests that our body needs 12mg of copper per day. This means that youcan drink about two to three glasses of water from this copper mug to reap itsbenefits. But just like everything else in the world, too much of a certainthing can be harmful. Do not overdo this or it may be harmful for your -well-being.